Bednarek argues that as trains gave way to airplanes, airport terminals became the new “front doors” for US cities. As such, many civic leaders wanted their air transportation facilities to function as iconic symbols for their cities. And, given the investments in airport expansion, mayors and other civic leaders also hoped to reap an economic development boost. The latest manifestation of that is John Kasarda’s “aerotropolis” concept—the idea that cities can attain global status building and developing their airports as international gateways. 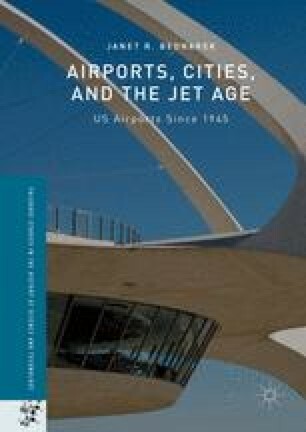 To what extent airports could independently promote economic development, however, became and remains a subject of study and debate. Less debate surrounded the adoption of the “air mall” concept in the 1990s.